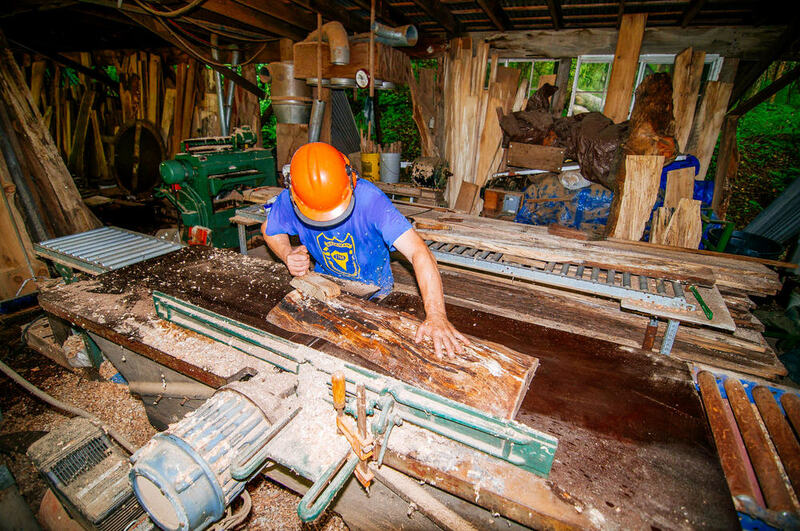 John Walker: "Over the years I have accumulated a collection of machines to make the wood shop I have today. I became interested in wood working when I took my first wood shop class in high school. I bought my first machine in 1970 and it was a Sears Bench Saw. Little did I know I would become the wood shop teacher of the shop that I learned how to work with wood. Today, I use a set of machines which allow me to make the benches I've always wished to make." 1933 Yates American 16" table saw with a sliding table to cut the 15 degree angle on the legs. Knotty Eastern White Pine, Wormy Ash and Ash, Black Walnut, Cherry, Catalpa, Hard Rock Maple, Poplar, Red Cedar, Butternut, Red and White Oak.